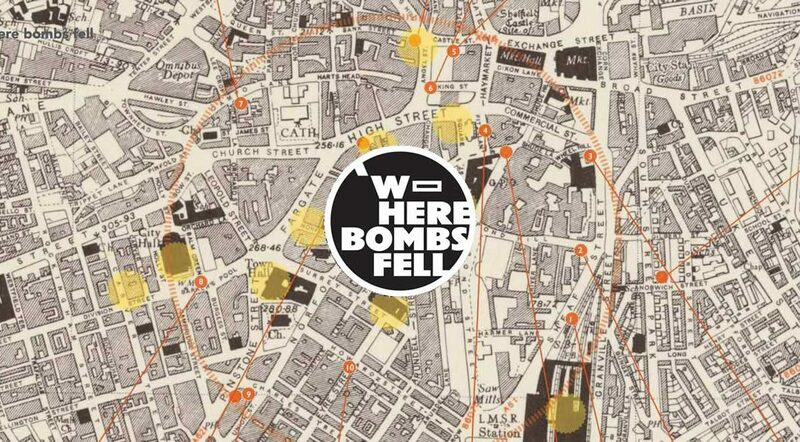 Where Bombs Fell is a research project being run by Sheffield Hallam University. It is investigating the various sites in Sheffield where bombs fell during World War Two. As part of this project, final year Graphic Design student Cory Metcalfe used Situate to create an app as a way of delivering some of the research outcomes. The app formed part of his final year Graduation Project. The app takes users on a walking tour of Sheffield. 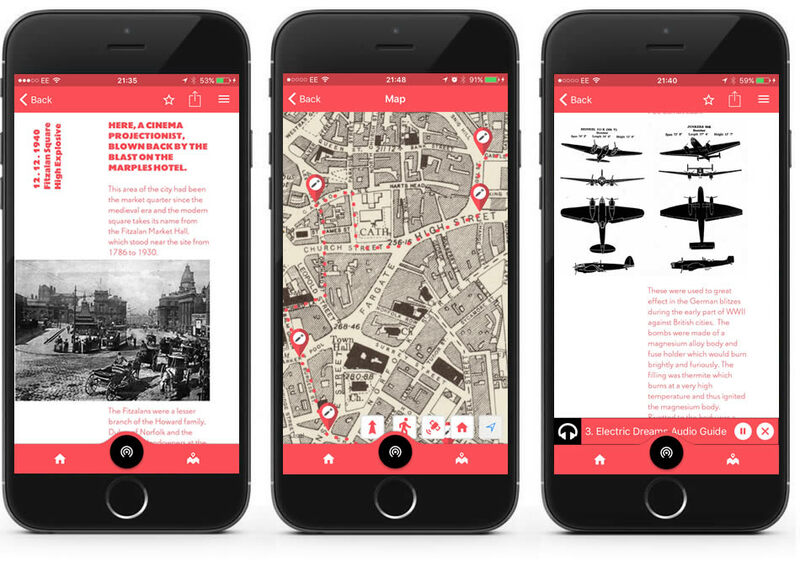 A map marks out the trail, with key sites highlighted along the way – but with the twist that the map is from World War Two, so as you follow the route you really get a feel for the changes to the city’s layout. The app includes audio content and some very innovative use of typography, as you might expect from a graphic design student. When it was showcased at the 2017 Degree Show the project won the Best in Show award for “Graphic Design: User Experience”.